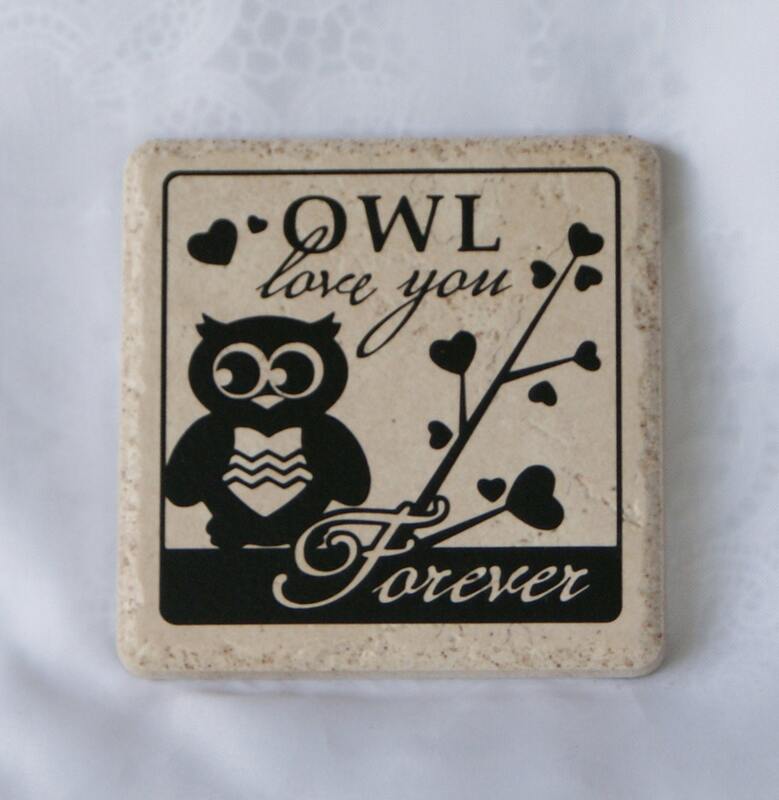 This whimsical "Owl Love You Forever" coaster is perfect for any owl lover. 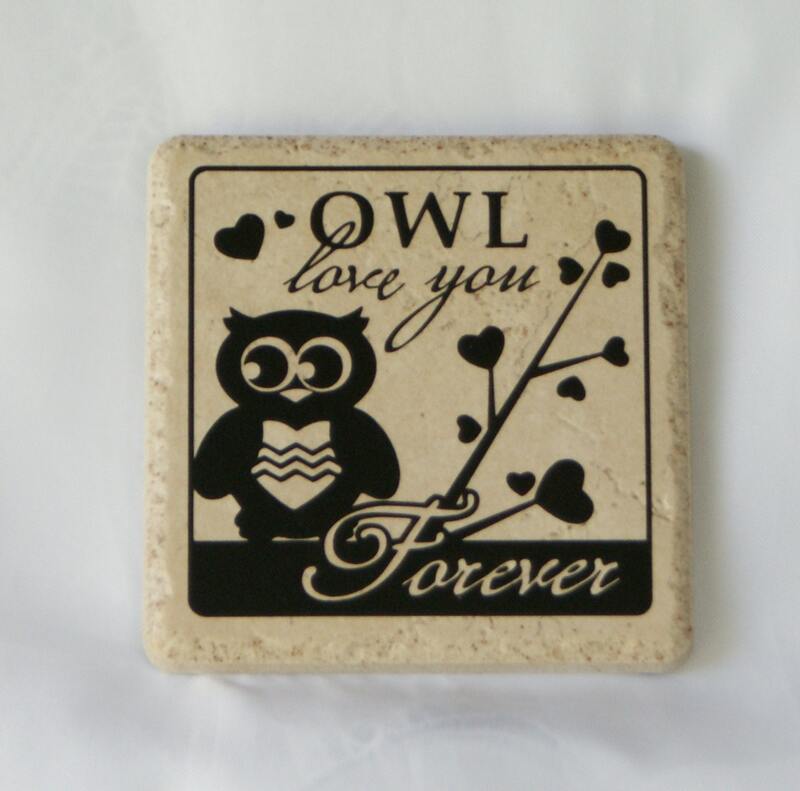 Shown here in black on a beige ceramic coaster. They measure 3-7/8" square. 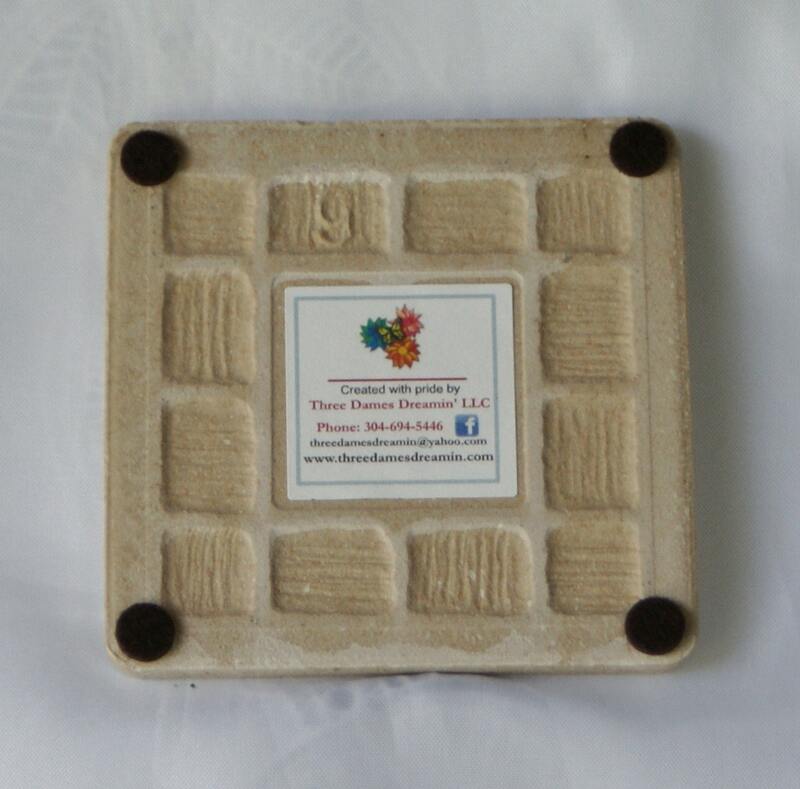 These coasters are made to last and have four felt "feet" on the back to protect the surface of your furniture. Sold her individually. They are available in a set of 4 in another listing in our shop.